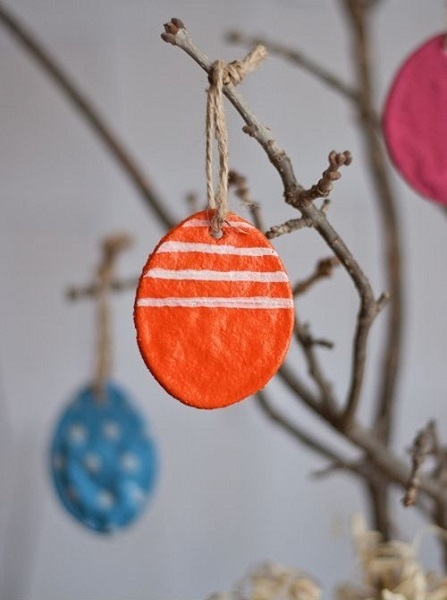 No Easter tree would be complete without some Easter egg ornaments! And instead of buying expensive ones from the store, why not just make your own with a bit of salt dough? You can use paints to decorate them in all sorts of fun and interesting ways.